SCHENECTADY — Volume two of the new Proctors series Capital Records Live! 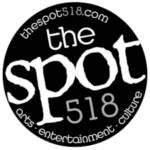 represents the next step in an effort to shine a brighter light on the local music scene. The initial edition, in March, was based on The Beatles’ “Sgt. Pepper’s Lonely Hearts Club Band” and “The Beatles” (more commonly known as “The White Album”). The next event—7:30 p.m. Sunday, Oct. 14, GE Theatre at Proctors — will focus on the Billboard charts of 1969, with video content keeping all the music in context. The only thing the events have in common is that each features a number of the region’s top musical acts. “This is based on projects I’ve seen in other markets across the U.S. The exciting part is over time these collaborations can evolve in so many ways that may not be immediately apparent today,” he adds. For the Oct. 14 event, indelible hits such as “Honky Tonk Women,” “Everyday People,” “Sugar, Sugar,” “Aquarius/Let the Sunshine In” and “Proud Mary” will be assayed by four of the area’s hottest acts—Dark Honey, North and South Dakotas, The Sea The Sea and Bad Mothers. Dark Honey (formerly One Red Martian) brings together brothers Jimi, Joe and Ben Woodul, along with lifelong friend Dan DeKalb for a distinctive keyboard-tinged indie sound. “There’s something in soulful frontman Jimi Woodul’s voice that really gives Dark Honey an edge,” says Syracuse.com. As the name implies, Bad Mothers brings a dirty twin guitar edge to its 70s-inspired hard rock strut. 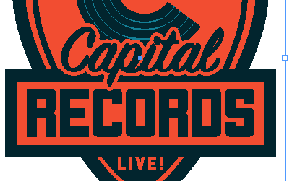 Tickets for Capital Records Live!, 7:30 p.m. Sunday, Oct. 14, $25, are available at the Box Office at Proctors, 432 State Street, Schenectady; by phone at 518-346-6204; and online at proctors.org.